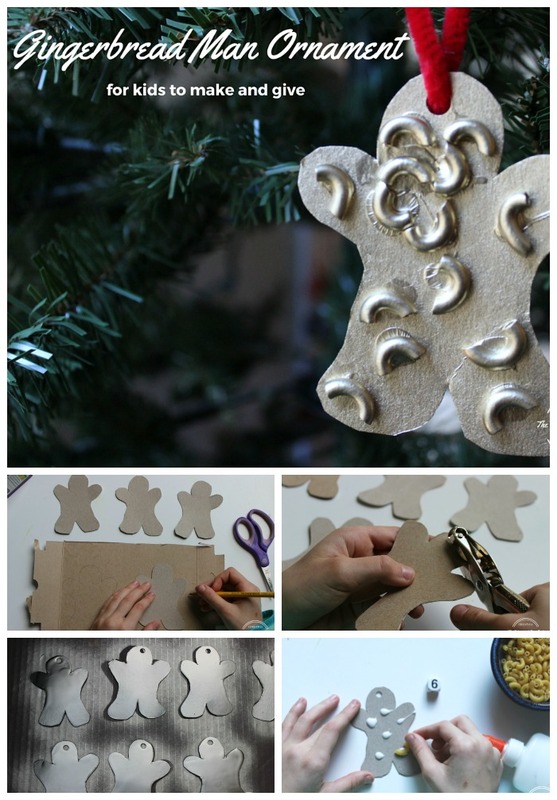 Get crafty this Christmas with items you already have around your house! 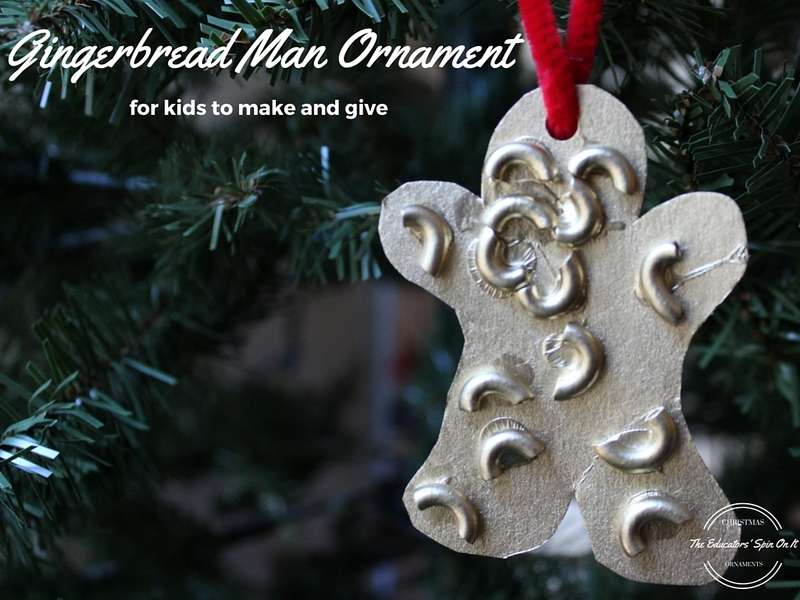 This Christmas gingerbread man ornament is a great way to strengthen your child’s fine motor muscles and math skills! Read on to find out how to incorporate a little math learning too! Affiliate links are used in this article. 1. 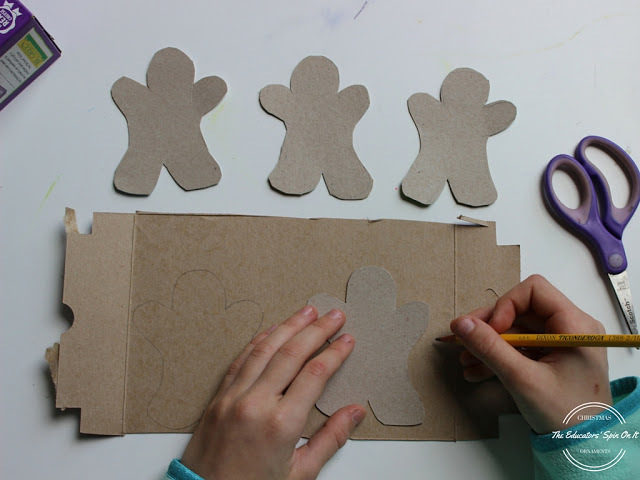 ADULTS: Cut a gingerbread man shape out of the box. Make a hole near the edge using the hold punch. 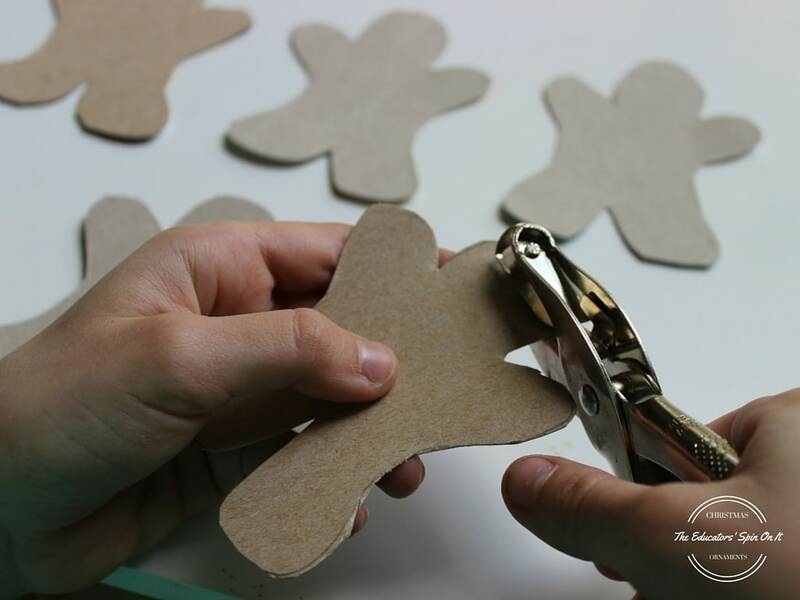 2.Use the permanent marker and write the child’s name on the back of the gingerbread man. 3. ADULT ONLY STEP: Set the cardboard gingerbread man newspapers outside, away from children. Follow all safety instructions on your paint container. Spray with gold paint. Let dry. This will be the back of the ornament. 4. 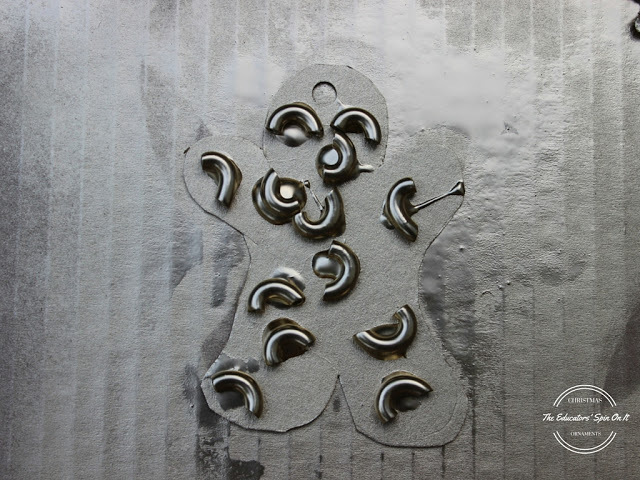 Set the gingerbread man– shiny side down on the table. 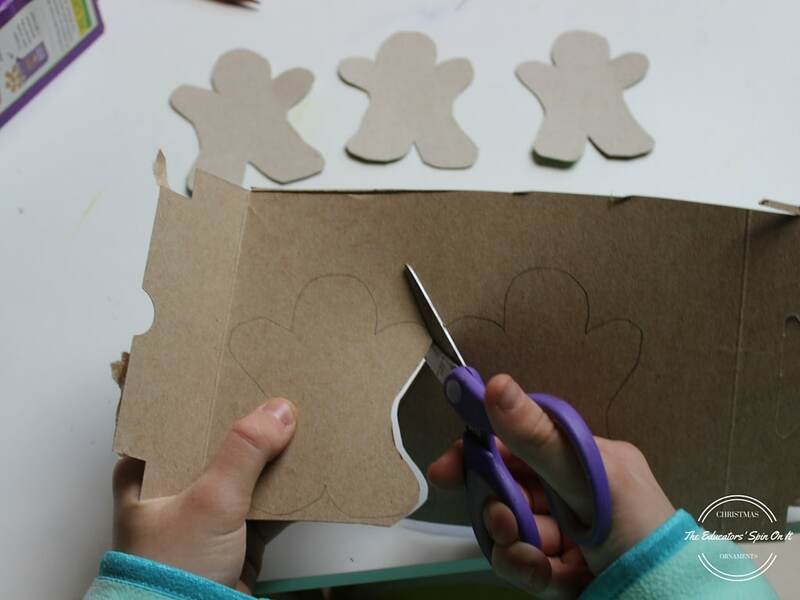 Let the child place drop of glue on the gingerbread man. Put a noodle on top of each glue drop. 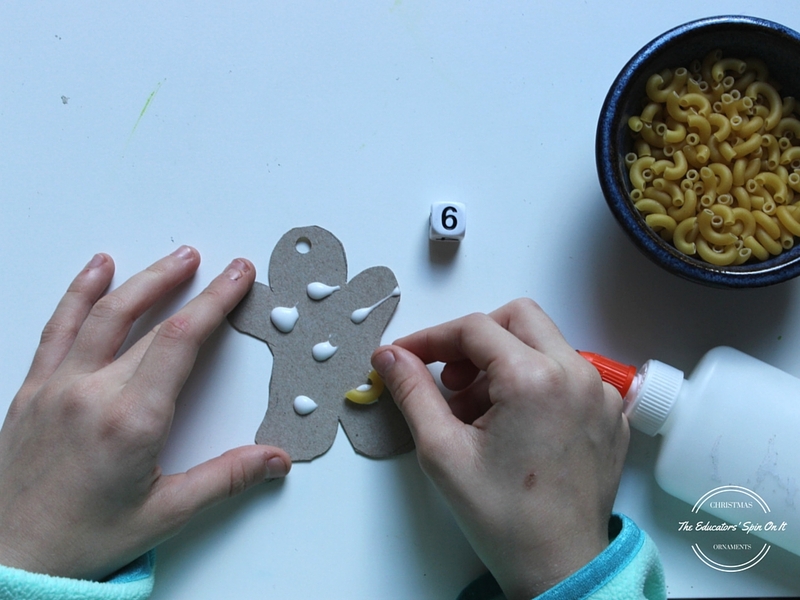 Squeezing the glue and picking up the noodles with the thumb and pointer finger makes this gingerbread man ornament a great fine-motor skills craft. 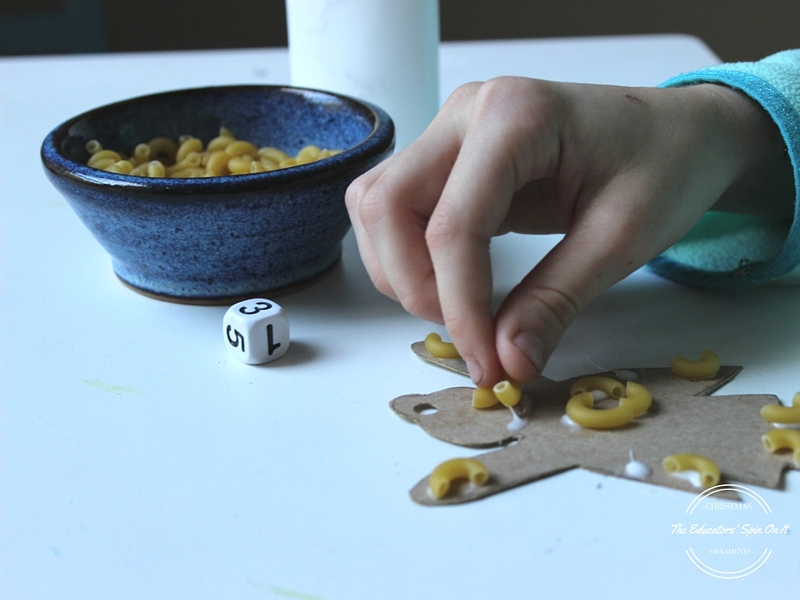 Roll and Cover Christmas gingerbread man: For older children, let them roll 1 die and call out the number Place the same amount of glue dots as the number rolled. Then cover each glue dot with a noodle. Repeat rolling until the gingerbread man has been filled. 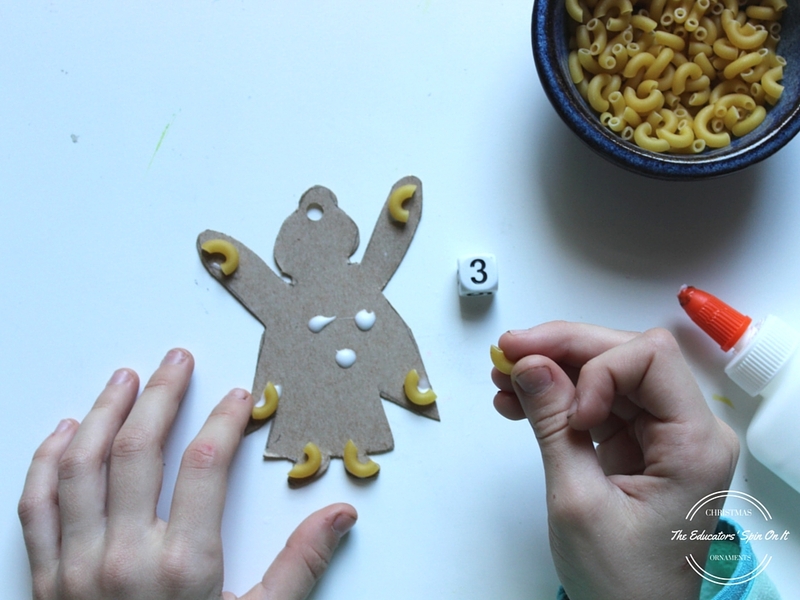 Challenge: How many noodles are on the gingerbread man all together? 4. 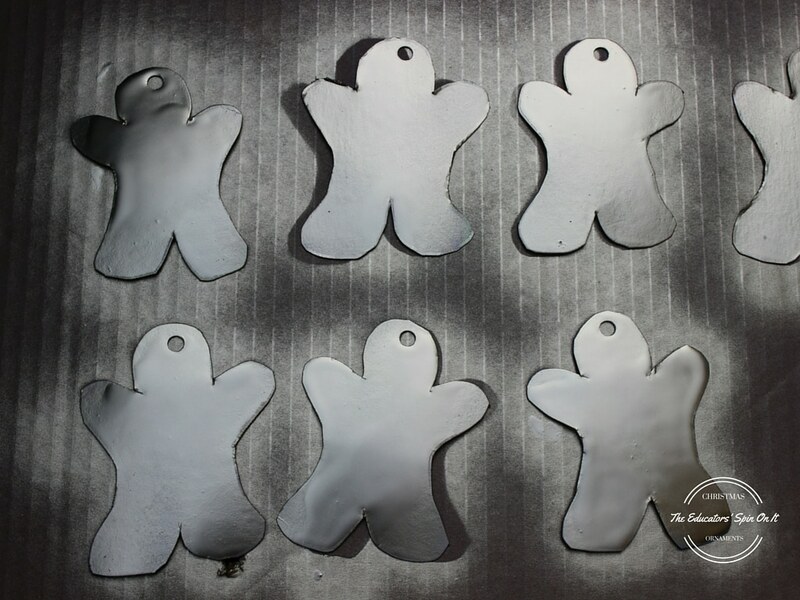 Allow the gingerbread man to dry. 6. Thread the red Pipe Cleaner through the hole and twist. 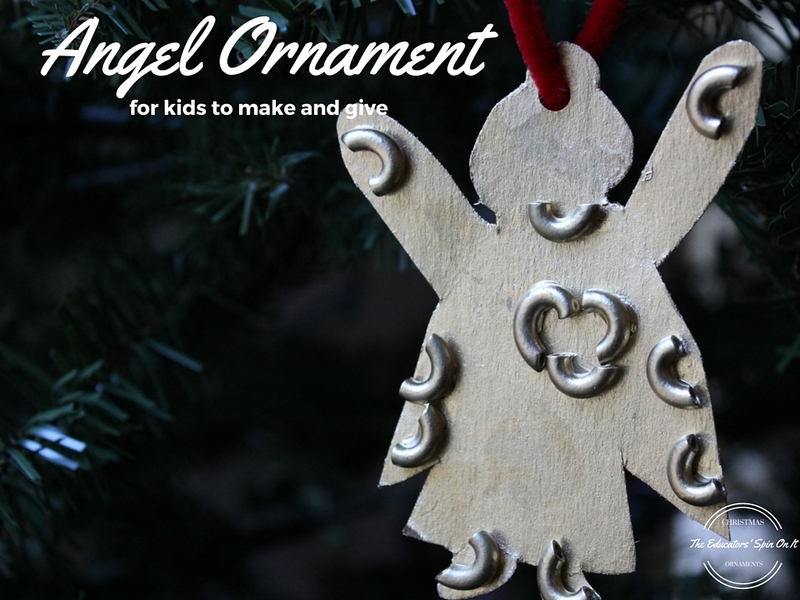 OPTIONAL: Have the children wrap their gingerbread manornament with tissue paper to give as a gift.